(Step 10) Draw some curved lines. Draw a kidney bean for the nose’s nostril. Draw a line on the eye. Make a horizontal line at the bottom of your drawing spanning from the middle of the head to the front of the face. Divide the line into 6 sections. See how flat the back of the head is? Aaacck! And see how the eye is not the proper “triangle” shape, but rounder, more like the eye from the front view. And it’s a way too close to the bridge of the nose. It’s not “deep set” enough. 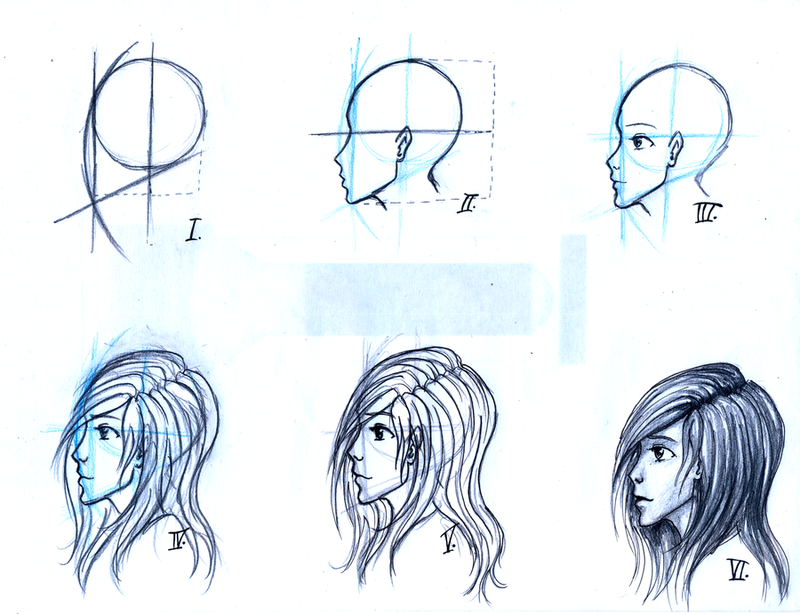 Lesson on drawing the profile. 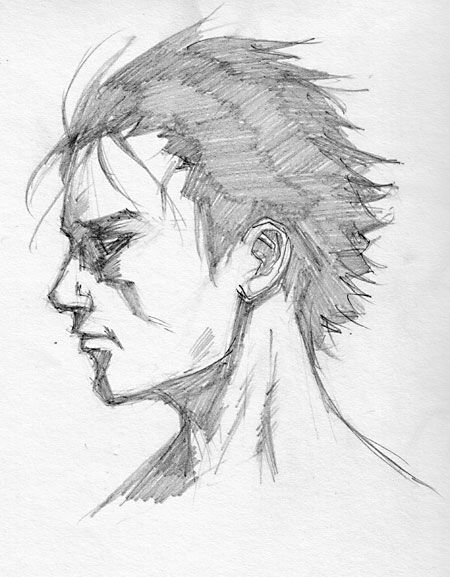 Sketching the face from side view. Portrait tutorial.Drawing Profiles | Don’t do that! Don’t do this! Don’t draw your profiles like this! It’s easy to not do it this way, once you understand what problems to look for, and what bad habits to break. (Step 1) Lightly draw a circle guide line. All guide lines in this tutorial are in blue and will be erased later. 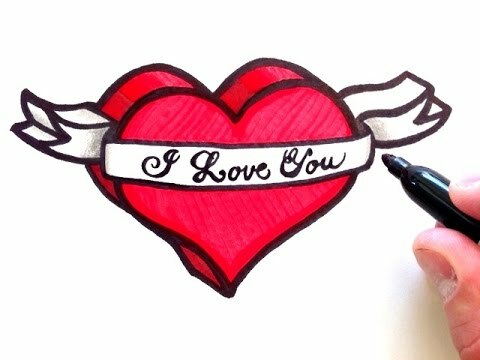 (Step 5) Draw a heart-like shape and draw a sideways “V” with a line through it. On the side, draw a ruler the same length as your drawing and divide the ruler into eight equal spaces starting in the center. 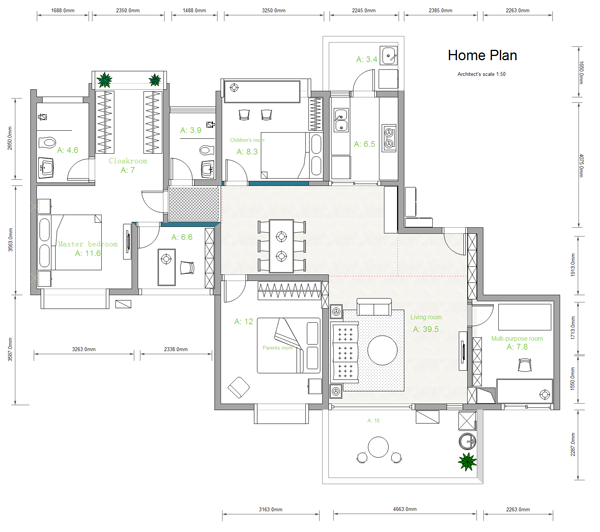 Make sure the spaces are as equal as possible! Use a straight edge to extend these markings over your drawing without pressing too hard. You can forget about this ruler for now. We’ll come back to it later. Draw an ear on the left side of the head between line C and line 2. Click here for a detailed tutorial on how to draw ears. Draw the top and back of the head by following along the oval and taking a plunge all the way down, creating the back of the neck. When you draw the front part of the neck, try not to go too far left past the middle of the head. 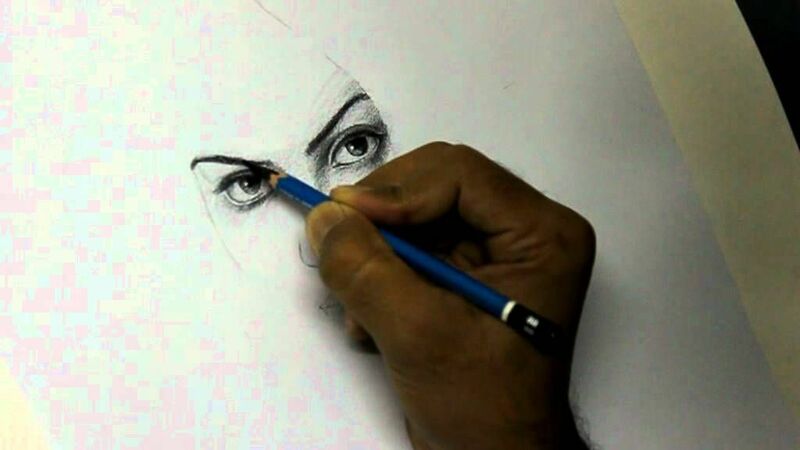 Click here for a detailed tutorial on how to draw an eye from the side! Notice that the nose and nostril are flush with the edge of the face. That’s just wrong. (Step 8) Draw an upside down “?”-like shape. Draw curved lines below the ear. Draw lines in the ear. Obviously, there isn’t any shading or structure to the face. It is all just lines, with a few bits of tone here and there. Update: Draw two lines from the top of the head through the markings labelled ‘F’ and ‘G’. 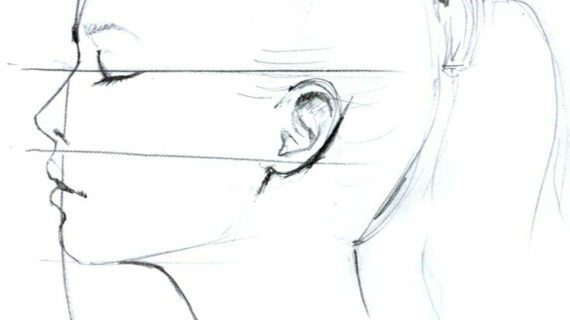 (Step 9) Draw a curved line above the nose. Draw a backwards #7-like shape. Draw a curved line as the side of the nose. Draw a straight line down the front of the face (let’s call this the face line). Stop at line 2 and slant inwards the rest of the way down. Connect the ear to the chin to complete the jaw. 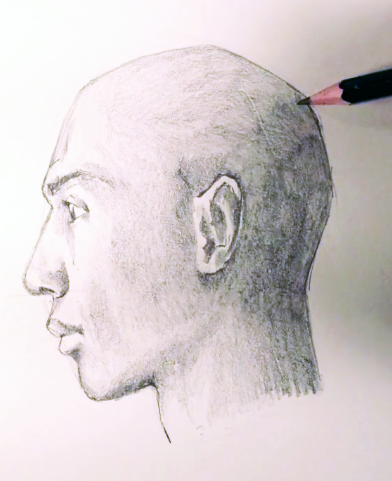 Click here for a detailed tutorial on drawing noses from the side. Also, notice that there isn’t enough of a forehead. Not only is there not enough room for the brain in the back of the head, the forehead is pathetically low. The jawline is far too shallow. The ear is placed far too close in to the rest of the features. Sad, sad. Draw the top lip under line 2. Now that we have one lip drawn, it’s time to draw the mouth’s corner. Place a small tick on line H.
To draw an eye, draw a circle between lines F and G on the Center Line, or draw a triangle between lines G and H on the Center Line. 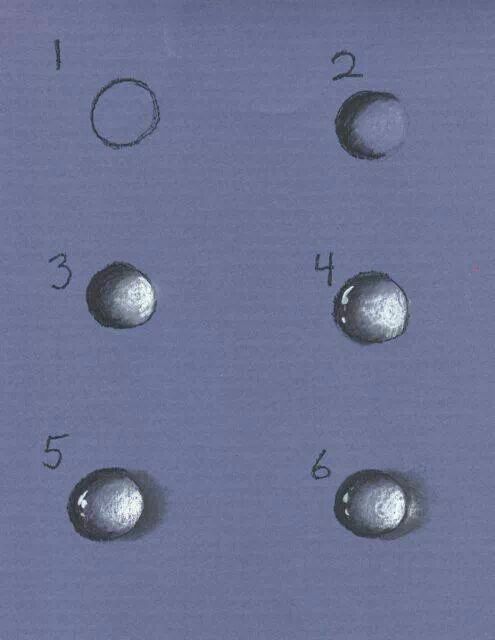 Draw an oval and a circle, like the first illustration on the left. Draw the neck, coming out at an angle. 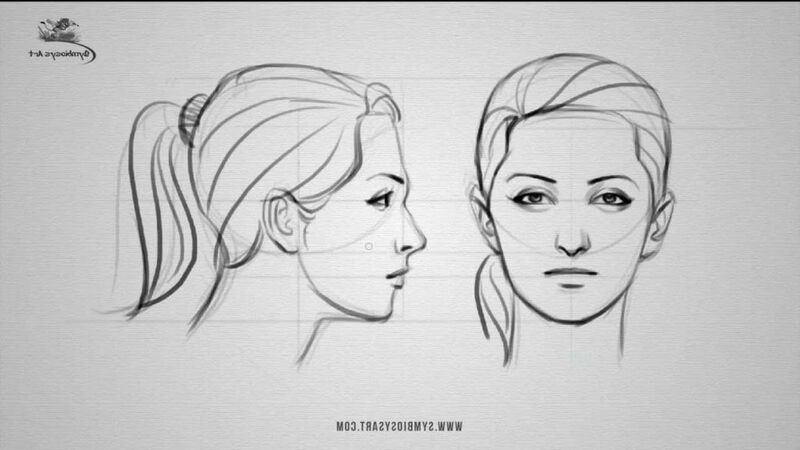 Draw in the placement of the features, by sketching a line across the middle of the head (eyes), then halfway down from the eyes and chin (for the nose). Then draw a line about halfway down again (for the mouth). 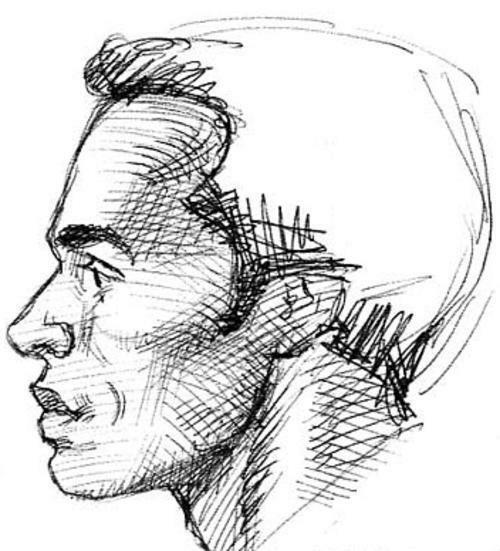 Draw in the contour of the profilebrowline, nose, and mouth. Draw the ear in (at an angle). Also indicate the large muscle (Sterno Mastoid) of the neck. Start to refine the profile. Sketch in a shadow area to indicate where the eye socket is. Draw the nostrils of the nose, the lips, and the cheekbones. Erase some of the extra sketching lines. Draw in the hair, add details to the eyes, draw in the eyebrows. Keep shading and adding more detail. “Clean up” the extra sketching lines. Soften up any areas that have gotten too dark, and refine the features. Leave the drawing alone for a while. When you pick it up again, correct any errors you happen see. To learn how to draw short hair and shade it realistically, click here! 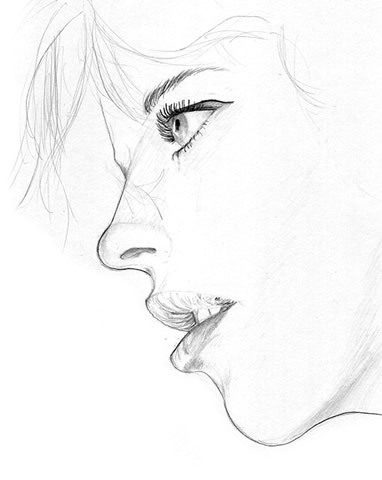 Today I’ll show you how to draw a realistic woman’s face from the side view. 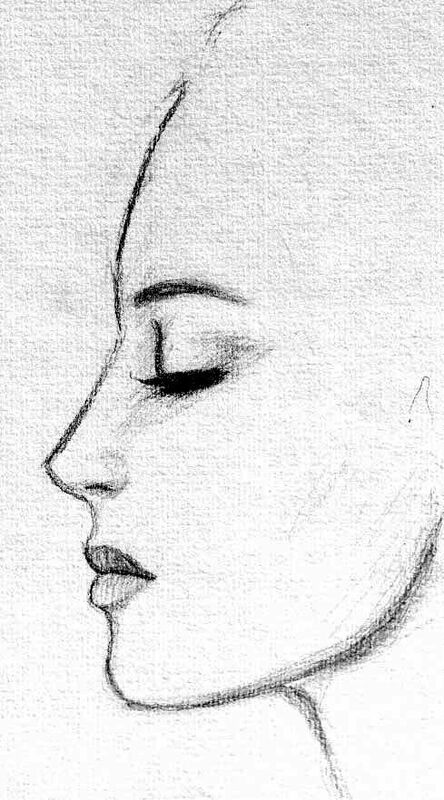 This profile view is of a beautiful female’s face and I guide you through the drawing process by using simple geometric shapes, alphabet letters, and numbers. 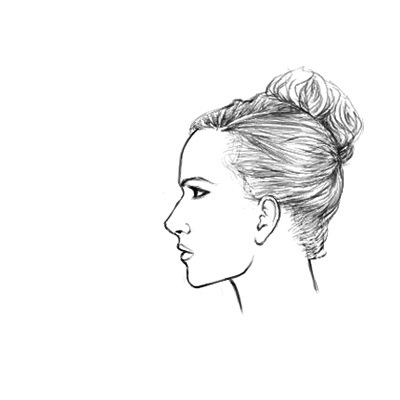 You can do this…drawing heads has never been so easy. (Step 7) Draw a curved line, a straight line, and a letter “S”-like shape. Line your straight edge or ruler up to the marking labelled ‘H’ and draw a straight line through the face. (Step 13) Draw little lines in a curved arc for the eye brow. Darken the eye lashes. Draw two small circles: one on the face line between lines 1 and 2 and another circle to the right of that. Followup with the jaw and chin. Keep in mind that they do not need to follow along the underlayer created in step 4. Sorry in advance if the image quality is not up to par. I just moved back to Canada from a one year trip in Japan and couldn’t bring my scanner with me. So I scanned these images with my phone. I did my best to make everything clear, so I hope you guys enjoy the tutorial! Draw a regular hairline on the forehead between lines A and B or a receding hairline above line A. Draw an oval and place a horizontal line below it about one oval down and draw a vertical line down the middle. 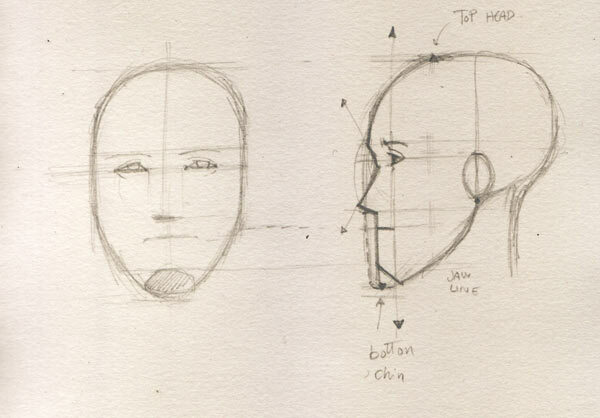 (Step 4) Use the guide lines to place facial features. Draw a letter “C” and “S” shape. The lips are not shaped right, and are not rendered or shaded with any amount of sensitivity (just using all harsh lines). The mouth also has a shape like a sideways heart, which isn’t right. It’s too even of a shape. And, the mouth is too wideit goes too far back. The profile is too straight up-and-down, like all the features are sticking out of a flat plank. There should be a subtle and gentle receding in at the forehead, and the mouth and chin area. 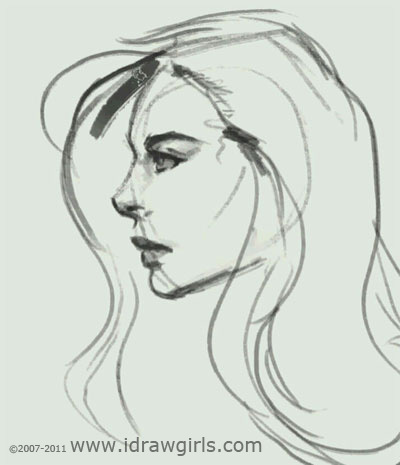 You can also create these lines without the ruler on the side, but I recommend using it at least the first 2 or 3 times you practice drawing a face from the side. Hey Guys! I’m back with a new tutorial as a followup to the last one: how to draw a face from the front. This tutorial is very similar to the last one because it uses the same ruler ‘a,b,c, center line, 1,2,3’. If you followed my last tutorial, this one should be easy for you to pick up. 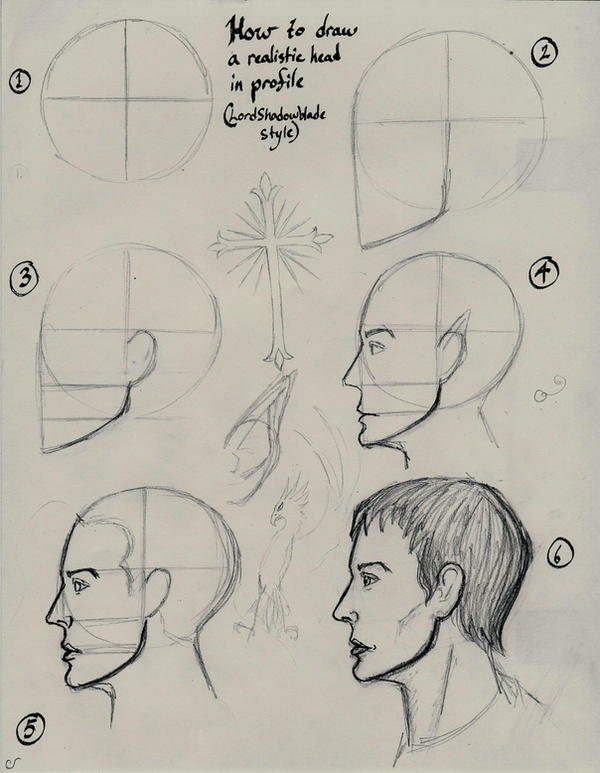 (Step 11) Draw a partial circle for the back of the head. Draw lines for eye lashes. Draw a curved line for the front of the neck. Draw a shallow ‘c’ shape where the Center Line and Face Line intersect. Shape the brow bone, working your way up to the forehead and merge the line back into the oval. Draw the bottom lip above line 3. Underbite or overbite?? Your choice! And don’t feel bad if you have to erase and erase and erase because you couldn’t get the proportions right the first time. This is perfectly normal. Just keep at it, until you get it right! Add some finishing touches.. and you’re all set! Practice this a few more times and when you’re comfortable, try drawing without the two rulers on the side and bottom of your drawing!